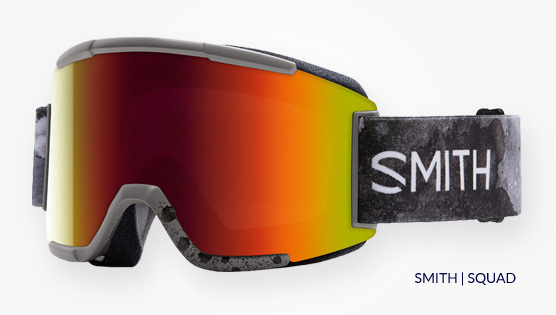 Smith Squad ski goggles, delivering reliability and distortion free optics to the slopes this winter. Bringing a bonus lens option to the package, the Smith Squad men's ski goggle offers a medium fit semi-rimless frame with their cylindrical Carbonic-X material. The lens is proper tough, comes with great TLT technology for distortion-resistance and superbly accurate optics. Sitting in their range at a great price point, the Squad brings you comfort thanks to their DriWix face foam system that draws moisture (AKA sweat) away from the face.